Ukraine matters. It’s strategically located. It’s in Europe’s geographic center. It borders seven countries. In alphabetical order, they include Belarus, Hungary, Moldova, Poland, Romania, Slovakia and Russia. After Western/Central Russia, it’s Europe’s largest country territorially. Recently he said if Russia ever reunites with Ukraine, it’ll be a Eurasian powerhouse. If Ukraine allies with Western Europe, Moscow will be significantly weakened geopolitically. The battle for Ukraine continues. Its future is up for grabs. A previous article said street protests are manipulated. Washington’s dirty hands are involved. Young militants were recruited. They’re street thugs. They’re up to no good. They’re paid to protest. Radical nationalists joined them. Ukraine’s future is at stake. Does he or does he not mean a Customs Union? Agreeing to one rules out an EU alliance. It’s one or the other, not both. Former Ukrainian President Leonid Kravchuk announced it. So did Yanukovych. He did so after meeting with three former Ukrainian presidents – Kravchuk, Leonid Kuchma, and Viktor Yushchenko. “We have sent the government a task to speed up this work,” said Yanukovych. On December 11, a First Deputy Prime Minister Serhiy Abruzov-led delegation left for Brussels. Work on the “joint Ukrainian-EU working group” will begin, said Yanukovych. “If we find understanding and if such compromises are reached, the signature will be put” on paper. What Yanukovych hopes to gain is one thing. What EU countries intend to give is another. So far, it’s been all sticks and no carrots. Harsh structural adjustments are demanded. IMF debt entrapment is planned. So are harsh mandates no country should accept. Popular interests are subordinated. Western corporate priorities come first. Most important is geopolitically separating Ukraine from Russia. Washington wants it increasingly isolated. It’s surrounded by US bases. It’s targeted by offensive missile systems. They’re falsely called defensive ones. Former President Kravchuk said Yanukovych will release protesters arrested during protests. He’ll do so “without interfering in the work of judges.” It doesn’t mean outstanding charges will be dropped. Western-instigated radical elements call for revolution. Ukraine’s sovereignty is at stake. It’s been through this before. Promises made were broken. Exploitation followed. Once deceived should be enough. Good sense demands avoiding a repeat. Conditions continue very much in flux. Russia’s lower house State Duma approved a non-binding statement. It accused Western nations of interfering in Ukrainian affairs. Imagine if Russian and/or Chinese officials urged Americans to demand US policy changes. Imagine if they did it in Washington. Imagine if they did in it front of Capitol Hill and/or the White House. Imagine how long it would take before they were arrested, roughed up, detained, then expelled. Imagine Western broadsheet headlines denouncing their interference. Justifiable nonviolent protests continue in Bahrain and Egypt. Occasional ones surface in Saudi Arabia, other Gulf states and Jordan. Palestinians demonstrate often for long denied justice. Protests are ongoing in Thailand. Ordinary people demand change in Greece, Spain, Portugal, Italy, Britain, France, Germany, other Western European nations, Brazil, Chile and elsewhere. They do it publicly en masse. Western media largely ignore them. They support wealth, power and privilege. They abhor social justice. They endorse imperial wars. They back abhorrent political repression. They do so when America or its allies commit it. They blame Ukraine’s government for deploying police against disruptive protesters. In 2011 and 2012, they largely turned a blind eye to cops assaulting nonviolent Occupy Wall Street demonstrators across America. Police brutality was vicious. US Secretary of State for European and Eurasian Affairs Victoria Nuland lawlessly interfered in Ukraine’s internal affairs. She’s been in Kiev for days. She met publicly with opposition leaders. So did EU officials. She and they joined street protesters. It bears repeating. Imagine if Russian, Chinese or other foreign officials acted in similar fashion in Washington. John Kerry is an unindicted war criminal. His Senate tenure was disgraceful. He’s going all out to become Washington’s worst ever Secretary of State. One day only, Ukrainian police overreacted. Authorities took them to task for doing so. For three weeks, they largely showed restraint. It’s not easy against Western-manipulated disruptiveness. Kerry turned truth on its head. Police are obligated to address disruptive street actions. Letting thugs run things would be irresponsible. Letting Washington’s imperial agenda go unchallenged would be worse. Kerry doesn’t give a damn about ordinary Ukrainians. He supports Western ruthlessness worldwide. He fronts for US global dominance plans. He stopped short of explaining. NATO Deputy Secretary General Alexander Veershbow meddled disruptively in Ukrainian affairs. Early Wednesday pre-dawn, Ukrainian police dismantled central Kiev barricades. Protesters resisted disruptively. Hooligans led them. Clashes resulted. At least 10 policemen were injured. So were several protesters. Police denied reports about beating up elderly Ukrainians in Independence Square. Kerry and EU foreign policy chief Catherine Ashton denounced police efforts to restore normalcy. They blamed them for Western-instigated disruptiveness. Protesters are “led by opposition deputies.” They’re resisting State Emergency Service personnel and utility workers. A Ukrainian court ordered unblocking central Kiev. For three weeks, opposition elements disrupted normal city activities. Most approaches to central Kiev were blocked. Authorities advised Ukrainians to stay out of city center. Protesters continued acting disruptively. They control City Hall. “There is a roadblock and metal fencing at the building’s entrance,” said VOR. Several arrests were made. Police refrained from using “impact munition.” They largely acted with restraint. They haven’t so far evicted protesters from City Hall or the Trade Union House. Ukraine’s Interior Ministry said police are acting lawfully. They’ll respond as needed to street thug-instigated disruptiveness. They’ll do so within the limits of Ukrainian law. Western propaganda is vicious. It’s unrelenting. It’s standard practice. It’s been ongoing since street protests began. Public sentiment is manipulated mischievously. It’s done to support wrong over right. Ukrainian authorities are blamed for acting responsibly. If they don’t confront street thugs, who will? On December 8, masked anti-government protesters toppled Vladimir Lenin’s statue in central Kiev. They did so with steel ropes. They smashed it with sledgehammers. They sang Ukraine’s national anthem. They hoisted Ukraine’s flag atop the empty pedestal. Jubilant chants were heard. They shouted “Yanukovych, you’ll be next.” It was a staged event. It got widespread Western media coverage. It was reminiscent of US forces toppling and destroying Saddam’s Firdos Square Baghdad statue in April 2003. Doing so symbolized imperial triumph. Iraqis continue suffering horrifically. They live in a virtual war zone. Previous articles explained. Fake videos and other fabricated images are commonplace. Washington uses them often. They manipulated public sentiment against Saddam, Gaddafi and Assad. They turn truth on its head. Rumor-mongering claimed Russian troops entered Ukraine to “help stamp out the protests,” said RT. Ukrainian news outlets cited foreign reports. They showed America’s Statue of Liberty and Brazil’s Statue of Christ the Redeemer lit up by blue and yellow lights. They reflect Ukrainian flag colors. Images surfaced on Facebook. Opposition elements used them. News agencies reported them. It created a false impression. It suggested widespread global support for protesters. Fake news and images work this way. Putin bashing is relentless. He’s assailed for his outspokenness. He opposes Washington’s imperial agenda. He’s vilified for his anti-war advocacy. He continues going all out for resolving Syria’s conflict peacefully. He’s waging a lonely struggle. He supports Iran’s peaceful nuclear program. He’s despised for advocating multi-polar world policies. Their sovereignty was co-opted. Their populations were exploited for profit. Their economies are largely troubled. Some are basket cases. Future prospects are grim. Ordinary people endure extreme hardships. Corporate predation works this way. Lucas didn’t explain. Lies substituted for truth. He claims EU membership offers genuine benefits. Former Soviet republics “truly wanted to reform, modernize and integrate with the West,” he said. They’re polar opposite EU terms. They feature carrots, not sticks. They offer benefits America and EU nations deplore. Lucas claimed Yanukovych’s 11th hour decision against an EU alliance “left EU officials baffled.” They don’t understand Russian policy, he added. It “needs a geopolitical hinterland (of) economically weak and politically pliable” countries, he claimed. He turned a blind eye to longstanding Western financial war at home and abroad. Economies are wrecked for profit. Populations are ruthlessly exploited. America wants all countries treated the same way. So do key EU partners. They want monied interests served above all others. Don’t expect Lucas to explain. He supports their worst policies. Ukraine dodged a bullet by avoiding them. It did so provided Yanukovych doesn’t accept going forward what he rejected. Putin deplores militarism. He advocates peace, not war. He wants cooperative relations with all other countries. He doesn’t seek confrontation. NATO is a killing machine. It’s a US-led imperial alliance. It seeks global expansion. It’s a force for evil, not good. It threatens world peace. Stop NATO editor Rick Rozoff calls it “the first attempt in history to establish an aggressive global military formation.” Its existence threatens humanity’s survival. Yanukovych’s best choice it turning East, not West. It’s the best way to turn around Ukraine’s troubled economy. 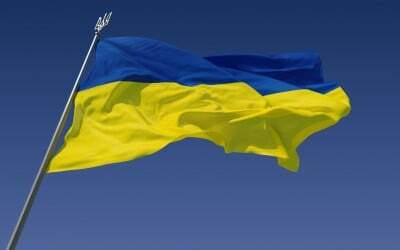 It’s how best to serve all Ukrainians responsibly. Don’t expect Lucas and likeminded ideologues to explain. They endorse imperial lawlessness. They support the worst of corporate predation. Responsible advocacy opposes both.